If each one of us does a little, we can accomplish a LOT! Heather: I love your honest approach to gardening. Why is Miracle Gro such a good seller...because it works, that is why! For a quick fix it does push blooms. Try some fish emulsion fertilizer and you may be able to wean yourself off the green stuff but, if not, you are doing a great job with composting! heather - awesome post for blog action day! i really enjoyed reading it and can relate to your love for making the magic green water with mom. I bet if everyone started recycling their plastic milk jugs that sooner or later the city would get a clue and have to accept them! Recycling guerrila-style I suppose...! Hi Heather, You and VPH are very resourceful. 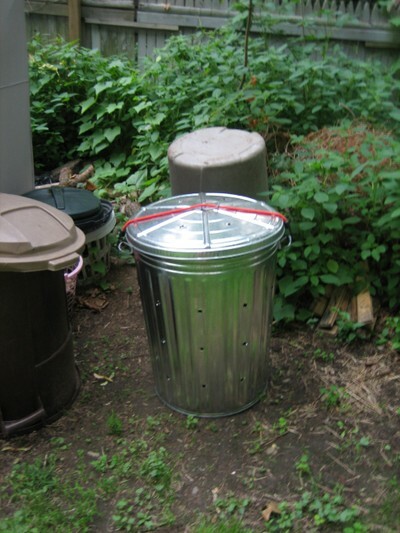 I love the garbage can composter. I have just started a blog myself and would love to talk about your composter. I am going to try it myself, I need the challenge. Would you email me? Dave - Thanks for stopping by. Layanee - I like that approach, the good more than balances out the bad! Gina - I loved your post too! Katie - Interesting idea. Unfortunately if they don't like what's in your recycling bin they leave everything. 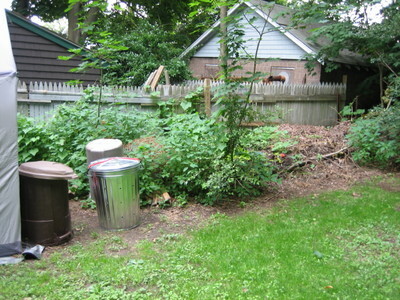 Lois - I don't know anything more about composting than I posted here, but good luck with your project! Heather, I don't know if you go back and read your old posts, but this one might be worth a gander. Since this update in October '07 what else has changed? I love the way you stepped boldly into new habits. How's the recycling? 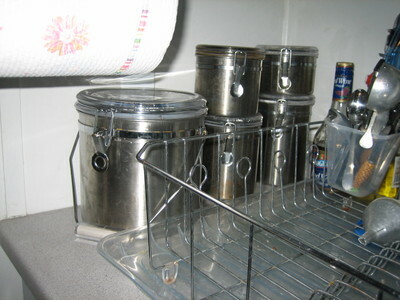 How's the composting? Do you see any difference in the quality of your soil? And has your community stepped up recycling programs? About filters: we have used one for a decade, replacing filters every 6 mo. Have you found one that works? Again, I am truly inspired by what you are doing in your garden. Jan -- I don't go back and check old posts, but I do get an email notification every time that someone leaves a comment, so I saw yours. Maybe some day this summer when I have writer's block or its been raining for a week I will revisit this post. Nun, das ist mein erster Scheck, ausgestellt auf heathersgarden.typepad.com! Wir sind eine Gruppe von Freiwilligen und Beginn einer neuen Initiative in einer regionalen Gemeinschaft in der exakt gleichen Nische. Dein Blog versorgte uns wertvolle Informationen über die Arbeit. Sie haben eine wunderbare Aufgabe erledigt!